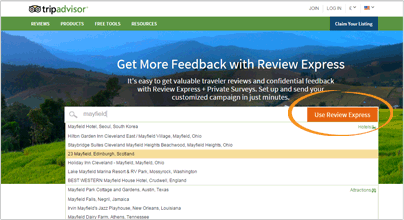 On average freetobook users connected to Review Express get 34% more TripAdvisor reviews. 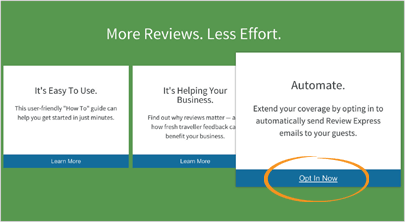 Use freetobook with Review Express to request email reviews from your customers. 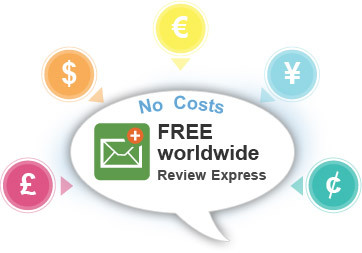 The Review Express system is free. There is no charge from TripAdvisor, and no cost from freetobook. 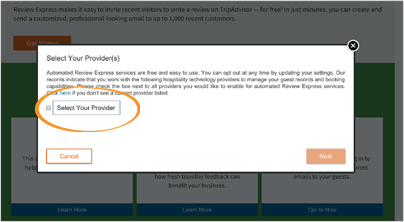 You switch review express on/off from within your TripAdvisor account - no need to contact freetobook. 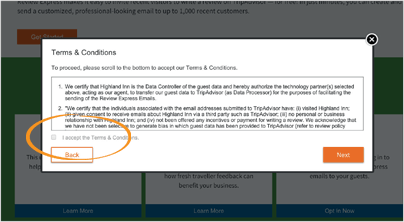 When you opt in - your recently checked out guests will automatically receive a TripAdvisor review request email. 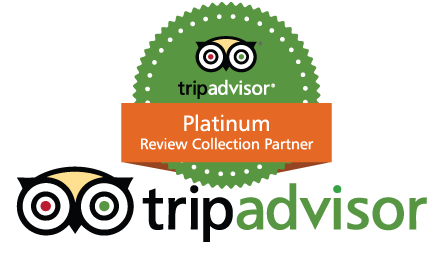 You are in full control from within your TripAdvisor account you can switch it on or off. 1. Enter your property name, select it from the list and click on "Use Review Express"
2. Select freetobook as your connectivity partner. 3. Click on "Opt In Now"
Your options may differ, if you have an account with FlipKey or HolidayLettings these options may not be available to you. The Review Express connection is available to freetobook customers free of charge. If you already have a freetobook account you should follow the steps above. Don't have a freetobook account ?